During last week’s E3 2016 press conference, Bethesda announced the next three DLC packs that will launch for Fallout 4, the latest entry of the series released last year on consoles and PC. The first of these three new DLC, the Contraptions Workshop, was confirmed for a June 21st release, and now we can confirm that the DLC is indeed available for download. The Fallout 4 Contraptions Workshop DLC is now available for download on all formats, PC, PS4 and Xbox One. The DLC allows players to build a variety of contraptions that can be used to enhance Wasteland settlements. Even though the DLC has only been available for a few hours, some users have already discovered some rather interesting features. A new video, shared by YouTube user Klone Wolf, showcases fireworks, weather changing and more, and you can check it out right below. 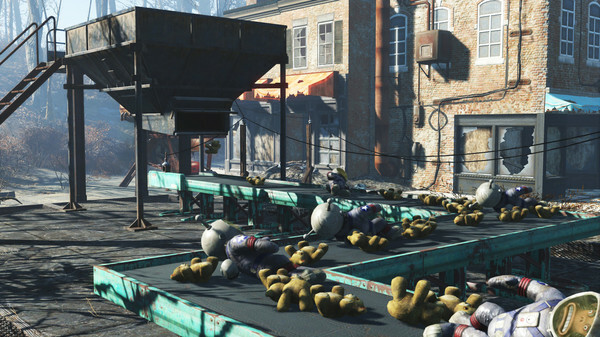 Another video, shared by Father, showcases all the new items included in the Fallout 4 Contraptions Workshop. This video is definitely a good watch for are still undecided about the new DLC pack. Fallout 4 is now available in all regions on PC, PlayStation 4 and Xbox One. The Contraptions Workshop DLC is also available right now on all formats.